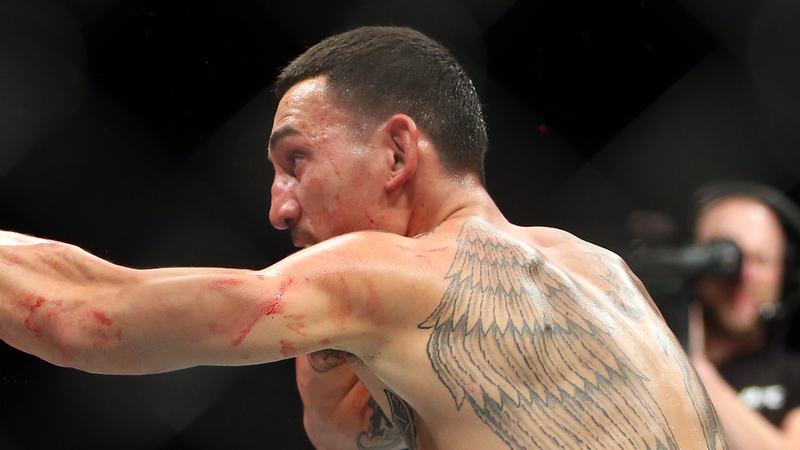 At the start of the year, Max Holloway appeared poised to carry the featherweight division into the spotlight. Fresh off his second third-round stoppage win over Jose Aldo in seven months, the reigning champ had already booked his next fight — a showdown with perennial contender Frankie Edgar — and was saying all the right things about remaining active, defending his title against all comers and clearing up the cloudiness that hung over the division throughout Conor McGregor’s reign and into Aldo’s second stint as champion. There were challengers at the ready, veterans stocked at every level throughout the division and a host of dangerous emerging talents climbing the ranks. 2018 was set to be “The Year of the Featherweights” and Holloway would be the vanguard. While the 27-year-old Hawaiian spent much of the year dealing with injuries and illnesses that had everyone worried about his long-term well-being, the fact that the division has remained arguably the most consistently entertaining all year without the champion stepping into the cage only further cements the fact that the featherweight ranks are flush with talent and set to be a cornerstone division for the UFC for the foreseeable future. And then Holloway went and made his triumphant return to the cage on Saturday, delivering a masterful performance to successfully defend his title, solidifying his place atop the division and further highlighting how compelling the featherweight ranks are at the moment. What made the light heavyweight division so great during its heyday wasn’t just the level of talent at the top playing hot potato with the championship belt, but that the division as a whole was full of life. There were elite competitors jockeying for position in the title picture — Rampage Jackson, Forrest Griffin, Rashad Evans, Lyoto Machida, Shogun Rua — and a host of veterans just a notch below that group who played the role of bouncers standing between the crowd of hopefuls looking to break into the upper echelon and those championship-level stars. And the hopefuls were plentiful too, with Jon Jones, Ryan Bader, Phil Davis and Alexander Gustafsson all working their way up the ladder at roughly the same time, leading to an incredible run of fights within the 205-pound weight class that continued through Jones’ ascension to the throne. Featherweight is in a comparable position now. In addition to Holloway and Brian Ortega, who showed tremendous heart and toughness while catching the first loss of his career on Saturday at UFC 231 in Toronto, veterans Jose Aldo, Frankie Edgar and Chad Mendes all remain in the thick of the chase at the top of the division, each one capable of halting a young star’s rise through the ranks or challenging for championship gold with another win or two. As was the case with light heavyweight during the division’s halcyon days, the 145-pound weight class is stocked full of established, experienced fighters who make up the dangerous gauntlet any hopeful must endure if they want to become a contender. Some, like Ricardo Lamas and Chan Sung Jung, have fought for gold in the past, while others like Cub Swanson, Jeremy Stephens and Darren Elkins are Top 15 fixtures who have made their names facing the toughest competition possible at every turn. But what really elevates the featherweight class at the moment is the mix of new names on the cusp of contention and the vast collection of up-and-coming talents still working their way up the divisional ladder, eager for their opportunity to prove themselves against some of those entrenched veterans. Renato Moicano is 13-1-1 in his career and 5-1 in the UFC, with wins over Stephens and Swanson and his lone setback coming in the third round of a bout he was winning against Ortega at UFC 214. He was originally scheduled to face Mirsad Bektic, but the Bosnian-born, Montreal-based prospect was forced to withdraw due to an undisclosed injury. Although he’s currently sidelined, there is no denying his potential, as the 27-year-old has rebounded from his lone defeat with a pair of impressive showings in 2018 — a first-round stoppage win over Godofredo Pepey and a split decision victory over Lamas in June. The hottest fighter in the group and the one with the biggest opportunity on deck at the moment is Alexander Volkanovski, who has used 5-0 start in the UFC to push his overall winning streak to 15 heading into his UFC 232 showdown with Mendes. A standout rugby player before making the transition to MMA, the 30-year-old is a compact powerhouse who has opened a bunch of eyes in 2018 by mauling Jeremy Kennedy and brutalizing Darren Elkins back in July. If he does the same to Mendes at the end of the month, Volkanovski would insert himself into the title conversation to start the new year. Prior to last month, Yair Rodriguez was a bit of a forgotten man at featherweight, having remained on the sidelines since his one-sided loss to Edgar at UFC 211. But that all changed at the 25th Anniversary show in Denver, when the Mexican standout returned in dramatic fashion, squaring with “The Korean Zombie” in a five-round classic that ended with one of the most inventive and unexpected knockouts in MMA history. Then there is Zabit Magomedsharipov, the mop-topped man from Dagestan who has become everyone’s favorite prospect in the featherweight division while rattling off four wins in as many appearances since arriving in the UFC. He was supposed to be the one to welcome Rodriguez back to the Octagon at UFC 228 in September, but “El Pantera” was forced out with an injury and replaced by Brandon Davis, who Magomedsharipov dispatched with relative ease, running his winning streak to an even dozen in the process. Every member of that quintet has shown flashes of greatness and championship potential, and while some are closer to solidifying themselves in the top tier of the divisional standings, no one would be surprised if they were all entrenched in the Top 10 and jockeying for position in the title chase at this time next year. And there are others who are hot on their heels, eager to build on their strong 2018 efforts and use 2019 to establish themselves as part of the fabric and future of the featherweight division going forward. Tops amongst that group are New Englander Calvin Kattar, who earned wins over Shane Burgos and Chris Fishgold while dropping an entertaining decision to Moicano in between, former lightweight Jordan Rinaldi, and Contender Series alums Bobby Moffett and Sodiq Yusuff. There will be more new names to emerge next year as well, because while some divisions go through talent droughts and periods of being stale, featherweight has remained fresh, exciting and intriguing since Pablo Garza knocked out Fredson Paixao in the first 145-pound bout in UFC history and that isn’t going to change any time soon. Welcome to the featherweight era.